It's not just bums that are getting bigger. Hands, it seems, are also becoming supersized, and nowhere is this more obvious then at the Dents Glove Museum. Dents have been gloving the hands of royalty and celebrities, since the 17th century, in everything from dingo, dog and mink, to wild boar and rat skins. And their private collection of gloves, housed in a bank of old map chests at their Warminster based factory, has the gloves to prove it. The collection, most of which were made by Dents, is fascinating. 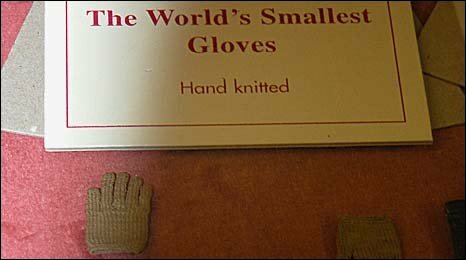 Tucked away between sheets of acid free tissue the world's smallest hand knitted gloves, no bigger then a thumbnail, share space with the gargantuan horse hide mitts of a farm labourer. King Charles I's ornately embroidered gloves look suitably showy next to Oliver Cromwell's no nonsense jobbies whilst the black gauntlets of Michael Keaton's Batman (from the 1988 incarnation) seem positively super-heroic next to the blue suede pair sported by Jack Nicholson's Joker. "They've tried every animal there is," says John Cundick who's been with the company since the 1940s. "We've had decorations on gloves using lizard, python and salmon skins. Salmon was only used for edging the gloves because although it's very, very strong there's no stretch in the skins so you couldn't make gloves with it. 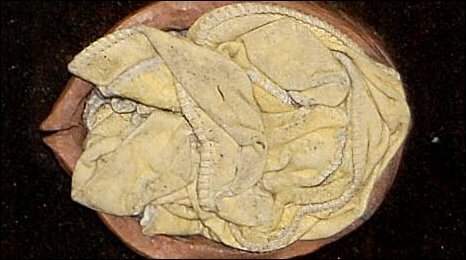 "Rat skins were also used as well as chicken. I'm not talking about Dents now but makers made thousands of pairs of chicken skin gloves which nobody wanted because they had holes where the feathers had been plucked out. So that was a disaster." "It's not a very good story," says John. "It was one of the queen's, we're not quite sure if it was Queen Victoria, but they wanted a glove that nobody else had. So what they did was they killed a pregnant cow and took the calf out and made a pair of gloves. "She must have had about two dozen pairs made over a few years. But you couldn't wear them everyday because they're so thin. You could only wear them once and then you'd have to throw them away." And it wasn't just queens who had a penchant for the bizarre. Jack Brabham, the Grand Prix motor racing champion, for instance gripped the wheel of his Cooper in the 60s in a pair of Dents driving gloves made of kangaroo leather and wild dingo dog. "He didn't have a right hand," says John, "so there were two gloves always made. Two left-hand gloves. 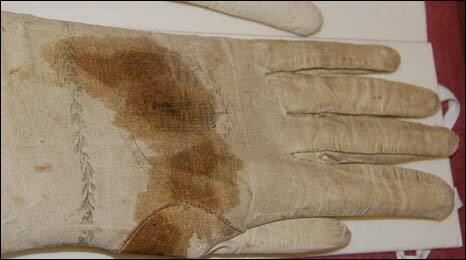 "Although it's been confirmed that the stain on one glove is blood, we can't tie it in with the Battle of Trafalgar." 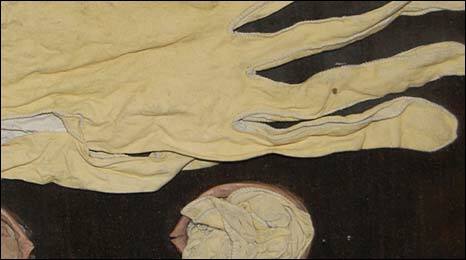 Nelson's gloves, still with the bloodstains from the Battle of Trafalgar? "Gloves are still made at Dents in the same way they were over 100 years ago," says Deborah Moore, Dents Creative Director. "Although what we're finding is that hands are getting bigger. We're all getting larger and we're selling more of the larger sizes." 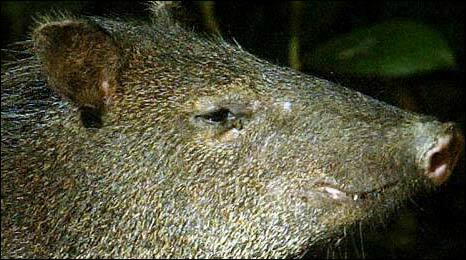 "One of the few skins we use is from a peccary which we bring in from South America. It's a wild pig. It's quite a nasty animal, and they fight and so the skins have lots of scars and shot marks on them when we get them," she said. "But it's soft, supple and the most important thing is that it's got stretch and retains its shape." A peccary - "It's quite a nasty animal"
Ah well, maybe it's just as well the chicken skin glove has become a thing of the past.